OSC had been originally aiming to launch the first Taurus II in March 2011. However, that schedule had slipped several months already. A significant chunk of the delay stems from the Taurus 2’s specially-built launch infrastructure at Wallops. Orbital is building a new launch pad, water tower and horizontal integration building on the Virginia coast. Orbital is planning a demonstration flight of the Taurus 2 rocket between July and September of 2011, assuming the company receives augmentation funding outlined in NASA’s budget blueprint passed by Congress and signed into law in late September. Congress has not acted on a final fiscal year 2011 budget yet, so the availability of the extra money is unclear. 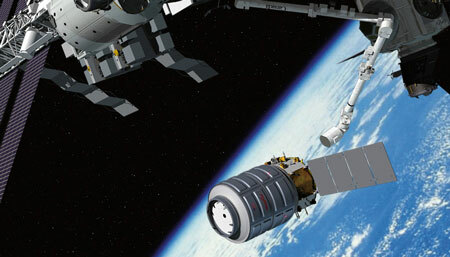 But Orbital officials say an additional test flight will increase the chances of a successful cargo flight in early 2012.